MOUNTAIN AND ROAD AND FAT BIKES OH MY! 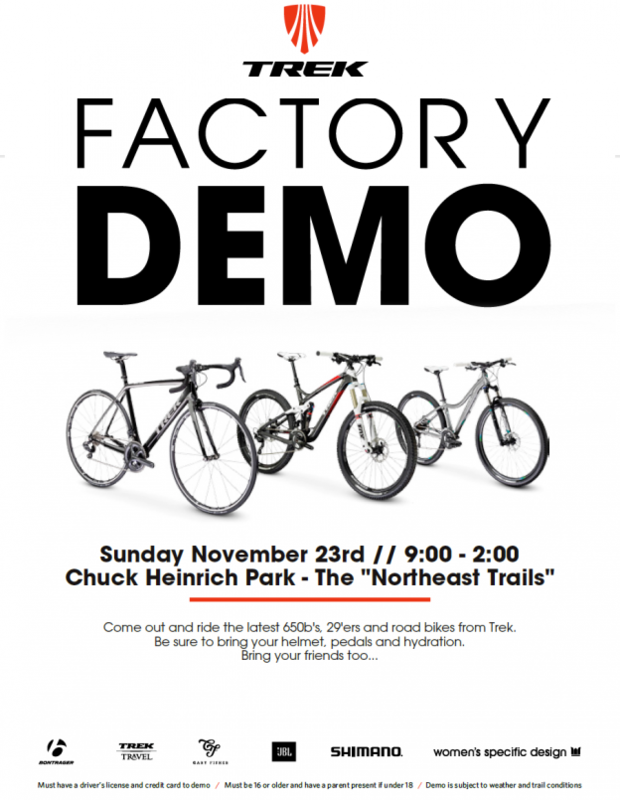 Join us at Chuck Heinrich park this Sunday November 23rd as our annual Trek Factory Demo commences. The fun starts at 9:00am and ends at 2:00pm so get there early. Make sure to bring your helmet, pedals, and hydration.